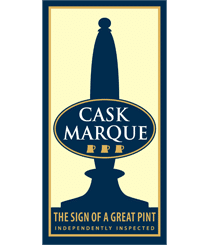 Woodforde’s Brewery, the award-winning Norfolk-based brewery, has announced today that it is rebranding by linking with the legacy of Norfolk’s favourite son, and one of Britain’s greatest military heroes, Admiral Lord Nelson. In the seventeen months since directors James Hughes and Nick Dolan took on the business, they have widened the reach, distribution and profile of Woodforde’s and its brands, including reviewing its corporate identity. The new identify incorporates a Nelson silhouette which represents Norfolk, known as ‘Nelson’s county’. Nelson is one of Britain’s most heroic and recognisable figureheads and noted for brave and inspirational leadership, most famously at the Battle of Trafalgar. For Woodforde’s, Nelson represents its heritage, provenance, great character and one that delivers and expects the best. James Hughes and Nick Dolan, Chief Operating Officer, have increased the Woodforde’s team by fifteen per cent as well as acquiring the pub adjoining the brewery, ‘The Fur and Feather’. There has also been substantial investment in expanding Woodforde’s range and beer styles including keg, can and the development of a new lager. Nick Dolan, comments, “The beer sector is constantly innovating and the competition for space on-shelf and behind the bar is tough. We intend to ensure that Woodforde’s is well-placed to battle for a deserved prime position by ensuring our brands stay relevant in taste, style and design”. To mark the rebrand the Brewery has sponsored the Nelson and Norfolk exhibition at Norwich Castle Museum which runs until 1st October 2017. There are also plans for a programme of events, partnerships and sponsorships to support the national drive for Woodforde’s and its brands.